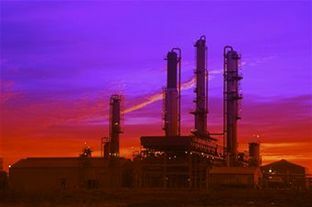 Plant shutdowns and turnarounds have evolved from being purely about sustaining the integrity of the assets to having a significant impact on your organisation’s financial performance. Puli Saravanan, Regional Turnaround Director East with Shell Eastern Petroleum says plant shutdowns are put into effect first and foremost to meet strict regulatory requirements and secondly to ensure their reliability in order to work effectively. Such large operations should always be put into effect when there will be the least impact to the business, he adds. Rebuking the suggestion that a plant shutdown will always produce negative financial consequences, Saravanan explains that a turnaround is in fact an enabler for making money for the next run of the plant. He adds that greater efficiencies can be achieved through shutdowns. Are maintenance shutdowns that were postponed during the recession now getting the green light? “If anyone says they want to postpone a shutdown due to the recession, something else has gone wrong. Firstly, turnarounds should never be planned if something like a resession can mean it will be postponed. “Turnaround is not an option, but a necessary piece to run the plant reliably. You bring down the plant to meet regulatory requirements as it is the license to operate and to fix issues that enable to run the plant reliably and make money. It may sound idealistic but we all should aim towards that… to become better and better,” he adds. The marcus evans Shutdowns and Turnarounds Conference will take place on 24 and 25 May in Bangkok.